If you are keen on the latest tech developments, you must have heard of or even used Google FI. What is Google FI? How does it work? Why should I use Google FI? If you are looking for answers to these questions, then you are in the right place. From a general point of view, Google FI is a phone carrier that is provided by Google. The carrier gives users access to the data service that is provided by three mobile networks which are: Sprint, T-Mobile, and U.s. Cellular. The carrier can intelligently switch between these three data service providers. Also, the carrier allows users to make calls and send text through Wi-Fi. Google Fi uses a special SIM card which will connect you to three mobile phone data providers (T-Mobile, Sprint and US Cellular). The SIM card will allow you to switch between these data providers anytime whenever you want. If you own Pixel 3, 3 XL,2, and 2XL, you won’t need to get this SIM card. This is because these devices come with an integrated eSIM which will allow you to use Google Fi without any problem. Apart from the three mobile service providers that we have mentioned, Google Fi also works on Wi-Fi connectivity. This means that you can use it anywhere as long as there is a Wi-Fi connection. The technology will work whether there is a cellular connection in your area or not. As you keep moving from one place to another, your phone will be scouting for Wi-Fi connections. It will only connect to known Wi-Fi networks. Once your phone connects to a network, the connection is routed through a VPN. This is done for the purpose of enhancing the security of the connection. As you can see, Google Fi offers a complete mobile phone experience only that you won’t pay for mobile data. Apart from the basic features that are available on mobile phones, Google Fi comes with quite a number of features that have accelerated the popularity of Google Voice. You can forward calls that are coming to your FI number to any other number that you want. You can perform all the basic phone functions such as texting and call through Google Hangouts app and website. Can Google FI be used internationally? Yes. Google Fi works internationally. The technology is available to more than 170 countries in the world. The most amazing feature is you won’t pay any extra amount for texting or using data. This is what differentiates Google Fi from other carriers. For phone calls, you will be charged a flat rate of $0.20 per minute when calling to any number when you are on a different network abroad. However, you will pay less when calling through Wi-Fi. When it comes to data usage, you will pay the same amount whether you are outside the US or within the country. You will be charged $10 per gigabyte. The only thing that may change is the speed. It will vary depending on the country that you are in. Which phones or devices are supported by Google Fi? Back in 2015 when the technology was launched, it was only supported on Nexus 6. With time, it opened up to other devices. 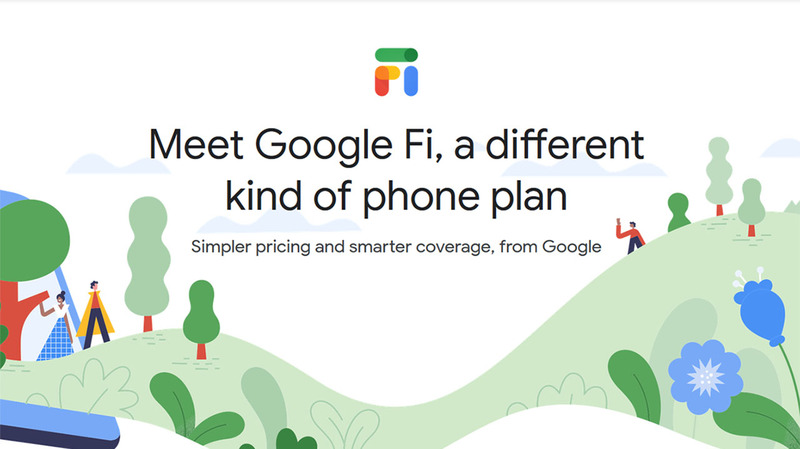 Currently, you can get the premium Google Fi experience on Google phones. These are Google Pixel 2, 2XL, 3 and 3XL. These phones come with a built-in eSIM which is specially preprogrammed to support Google Fi. Other phones that you can use include Android One Moto X4, Moto G6 LG V35, and LG G7. Although these phones don’t have integrated eSIM, they allow network switching. They also streamline the transitions between mobile network and Wi-Fi. Google Fi also works on any unlocked phone. This means that you can enjoy this technology on your iPhone. The only disadvantage is the unlocked phoned don’t have the network switching feature. Are you tired of the hustles of switching from one mobile carrier to another? Consider getting Google Fi. This is just among the many reasons that can motivate you to get Google Fi. The pricing plan of Google Fi is relatively lower than that of other carriers. It is the ideal choice for cross-border communication.